The gods don't venture down from their seat in the heavens anymore, not for an age. But maybe there are still signs that they're watching. Blessing of Ignis: Seen as a dazzling beam of sunlight, called upon foes. Not subtle. Blessing of Jax: Occasional bursts of preternatural good fortune. Blessing of Sallana: Occasional bursts of preternatural persuasion. Blessing of Korog: Uncannily deft crafting. Blessing of Vermella: Postponed exsanguination. Blessing of Shalherana: Postponed death. Blessing of Rahas: Inspires courage. Acknowledgement from the Divines come to those who’ve earned their place among the ranks with persistent faith. One must develop a divine’s trust in their faith, their portfolio, the Divine Law, or in the ways of their lives. Only those deemed worthy can unlock a Divine aspect and be accepted among the ranks to pursue a path through the Divine Tiers. Tier I (Three spell slots each) | Allocated Spell List - The Blessed are those who’ve stood out among those who follow a specific divine. The blessed may use a number of abilities per day dependent on their rank, of spells drawn from the list appropriate to the alignment of their patron deity These spells must be chosen and prepared at the start of the day through a short period of prayer, and can't be changed until the next day. You can prepare duplicates of the same spell. The spells' use will be emoted based on the following table. | Thought: 1 emote in rp chat, signifying prayer or acknowledgement to your divine. | Incantation: 2 emotes in rp chat, speaking of a prayer, or saying, towards your divine. | Ritual: 3 emotes in rp chat, signifying physical action, prayer, etc towards your divine. Heretics: Defined as those who pray to false gods. Those that are not of the Pantheon. Tier II | (Five spell slots) | Unlocked Artifact - The Sacred are those who've continued to pursue divine favor and spread their knowledge. They’ve grasped the portfolios of said divine, to a degree, and have respected the Divine Law. In order to promote more faith and followers, they are chosen. The Sacred gain access to an expanded spell list of spells that can be prepared for two slots instead of one, and a deity-specific spell. A Boon artifact, formed into one, tends to be granted. UNIVERSAL: Spells may be prepared by any alignment. Tier III | Speaker of Divinity - One who speaks and teaches on behalf of their Divine earn the rank of Prophet. A passive essence is granted from their Divine. ..Every step you take, every breath you take, they'll be watchin' you. Tier IV | Land of the Holy/Tainted Saints - A certain church, cathedral, temple, shrine, or other that is prominently used by followers where one goes to pilgrimage often.. will undoubtedly earn a Divine's favor. The rank of Oracle is given to the one who called upon such a favor and the benefit that came with it. Tier V - It is a mystery. Only individuals who've reached the pinnacle of their divine favor become Exalted. No more than one per Divine can achieve it. In the current atmosphere of Divine influence and potential loss of it, there is chance all tiers will be null if your divine dies. If your character chances upon an artifact, it may remain. 11/3/2018: +Changes to how Blessed work. "The blessed may use a number of abilities per day dependent on their rank, of spells drawn from the list appropriate to the alignment of their patron deity These spells must be chosen and prepared at the start of the day through a short period of prayer, and can't be changed until the next day. You can prepare duplicates of the same spell." -What this means: All current blessed may now cast anything available to their deity's alignment, but have a limited number that they can cast per day. What they can cast that day must be decided at the start of each day, and can't change until the start of the next. You can prepare the same spell multiple times, but can't otherwise exceed the casting limit of "x spells used per day." Blessed are now more versatile, and can cast more frequently. 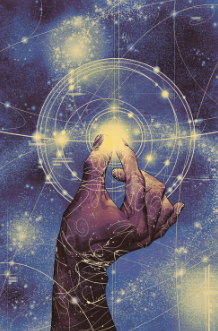 -IC effect: The blessed universally feel a deepened connection with their deity, and the knowledge that a modicum more power has been granted for their use. All are aware of the effect, and some may solidly infer why it has happened now. +Potentially expanded spell lists to reflect increase in spell slots. -Recently added Tier 3 passives, some alterations to Korog's and Valiant's. -Shield of Faith reworked to reduce potential cheese in PvP.